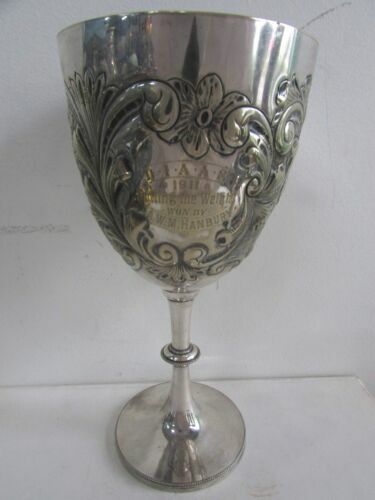 ANTIQUE SILVER (PLATE?) 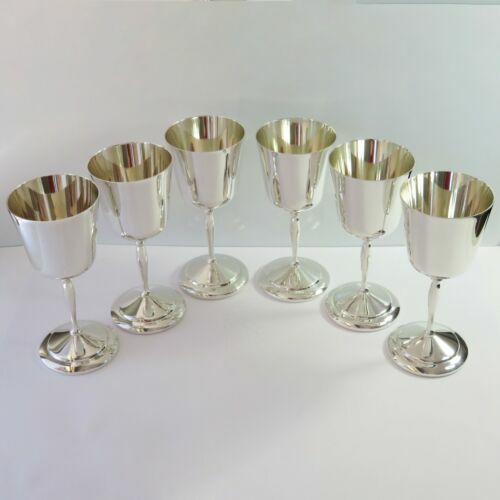 LIQUEUR GOBLETS x 5. 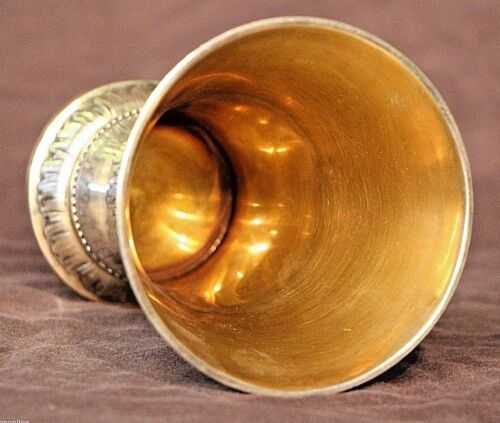 STAMPED MADE IN ENGLAND. QUALITY. 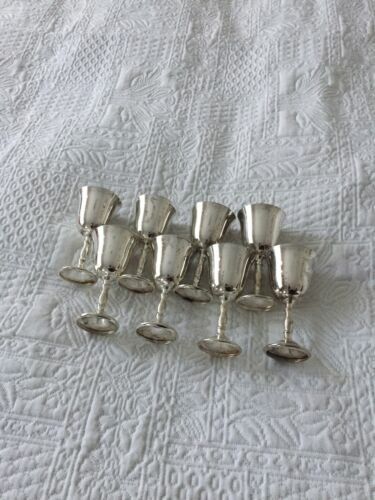 Rayleigh Silverware Aust P/L 2 Silver Plated Champagne Glasses! 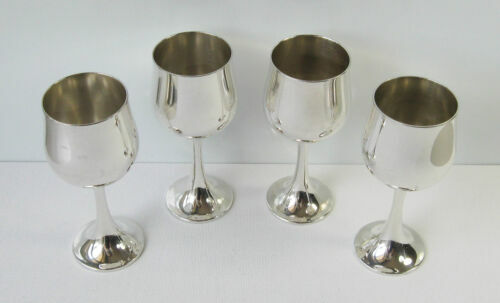 VINTAGE WESTMINSTER AUSTRALIA STAINLESS STEEL WINE GOBLETS 4 & x4 ESPN COASTERS. 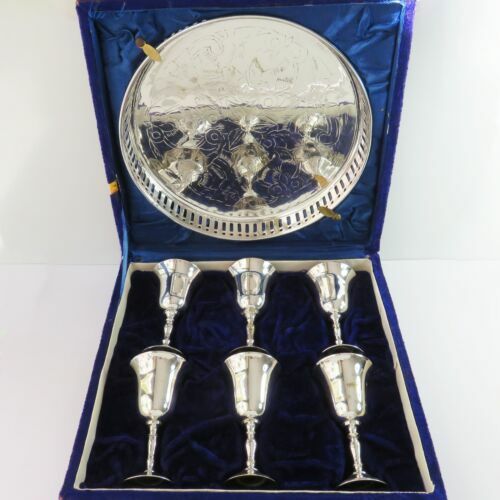 The Russell Silver Plated Collection Of 6 Port/Sherry Goblets! 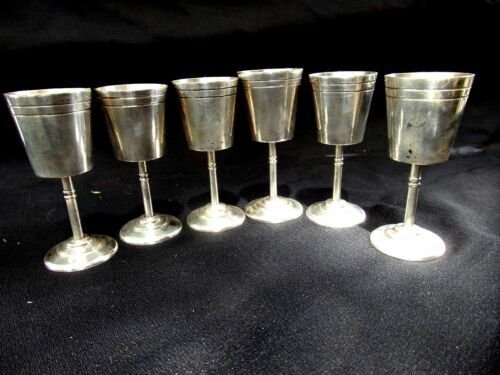 VINTAGE SET 6 AI SILVER PLATED LIQUEUR GOBLETS 9cm. 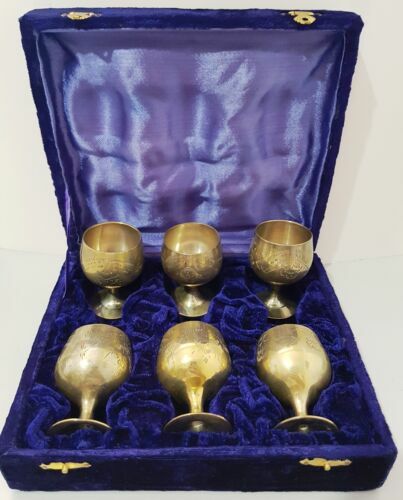 MAGNIFICENT VINTAGE NIB ESPN ETCHED LIQUEUR GOBLETS x6. MADE IN INDIA. 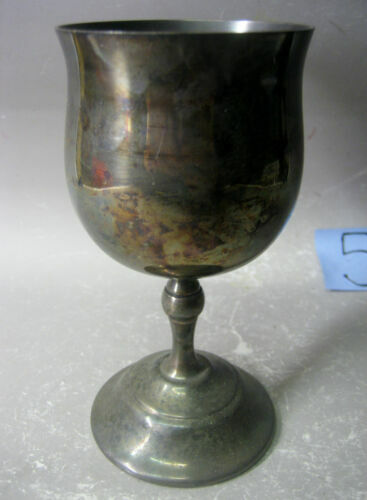 12 VINTAGE GOBLETS ‘regal’ stainless steel overlay. 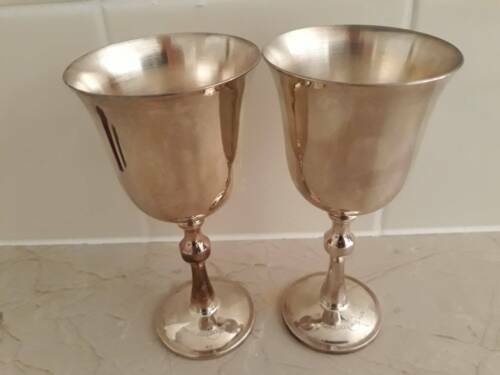 VINTAGE SILVERPLATED PAIR OF CHAMPAGNE GOBLETS, SOLID WEIGHT. REALLY BEAUTIFUL!